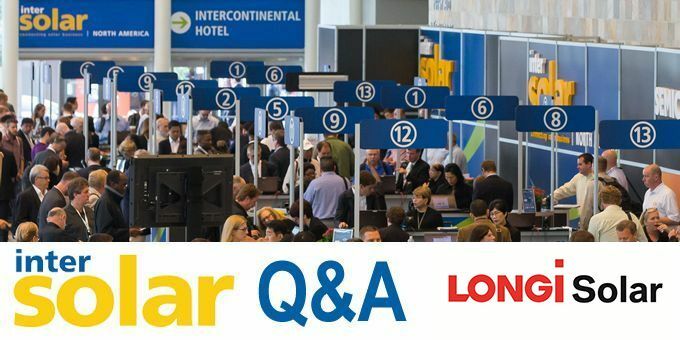 Your company will be presenting in an educational program at Intersolar & ees North America; what makes this an important event for your company? LONGi Solar is focused on expanding our presence in overseas markets, and North America represents an important market for the company. The multiplying returns of LONGi’s high-yield products are even more pronounced at scale, so the United States’ large capacity market, which installed 10.6 gigawatts in 2017, presents opportunities for even greater cost savings. Intersolar & ees North America’s focus on both solar and energy storage demonstrates the industry’s goal of providing complete and reliable clean energy solutions to consumers. With this inclusive focus, solar conversations will move away from module costs and instead center more around system economics and levelized cost of energy (LCOE) discussions. More than ever, the solar market is hungry for higher efficiency modules with higher reliability to help solar and solar-plus-storage projects pencil out. With San Francisco as an event backdrop -- a city leading the world in technology innovation and the backyard to our U.S. office -- we’re in the perfect place to share how our advanced solar solutions are perfect for not only today’s solar market, but also for the years ahead. LONGi announced the launch of its newest solar module, named Hi-MO3 (pronounced: “high”-“mo”-“three”) in May of this year. The product integrates innovative half-cut technology into our record-breaking Hi-MO2 bifacial PERC (passivated emitter rear cell) module. Our half-cut module production technique cuts a standard cell in half to reduce the cell’s operating currents, resistance losses and stress on areas that cause hot spots. Half-cut technology increases module reliability and offers a higher solar yield, boosting power output by an average of 5-10 watts. We are united with many exhibitors and attendees by our common goals to bring new solar resources onto the grid and achieve universal grid parity for solar. At Intersolar & ees North America, we are interested to see and connect with the technology innovation that adds additional benefits to solar installations, like energy storage, tracking solutions and energy management technologies. 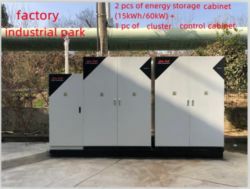 The benefits of each of these technologies are amplified when building upon a base of high-efficiency panels, so we look forward to the potential synergies that collaboration can offer. Relationship building is central to LONGi Solar’s success. Our products leverage both LONGi developed technology and that of other technology partners, like Dupont, and are good examples of the blend of solutions we implement to achieve the best results for our customers. We anticipate LONGi Solar's parent company, LONGi Green Energy Technology (“LONGi Green”), will be in attendance alongside us at the show. LONGi Green is the largest producer of monocrystalline wafers and recently announced plans to triple production capacity to 45 gigawatts by 2020 in response to growing demand from downstream users. With both LONGi Solar and LONGi Green represented at the show, we’re pleased to support innovation at all levels of solar technology development. Intersolar has many educational sessions & demonstrations; is your company involved in any of them this year? LONGi Solar’s VP of Corporate Strategy Archie Flores will present in an educational program on PV Production Technology from 10:35-10:50 a.m. on Tuesday, July 10 on Level 3 of Moscone West in Room 3008. Archie’s presentation, “Welcome to PV 3.0: The Era of High-Efficiency PV,” will discuss the history of the PV industry and share how companies can increase investments in innovation to offer more attractive returns to manufacturers and consumers. Your company exhibited at Intersolar Europe. What did a visitor to that booth see this year from LONGi? At our Intersolar Europe booth exhibit, we showcased a range of our high-efficiency modules. Seeing each module product next to the others helps industry players visualize the added layer of innovation each new version adds to our portfolio and the added functionality we leverage to cater to a customer’s needs. Hi-MO3 is a half-cut bifacial PERC module launched in May 2018 and was preceded by Hi-MO2 bifacial PERC module, which we launched in 2017, and Hi-MO1 PERC low-LID module, which we launched in 2016.